Patent: GB2515079. The weight-bearing part of the panel under the rider’s seat is separated from the part under the rider’s knee which lies over the horse’s shoulder, allowing the shoulder independence of movement. Scientific testing shows that this affords the horse improved limb extension, joint flexion and gait symmetry. Seven changeable gullet bar width options, in half width fitting increments, allow the selection of the exact width for the horse's profile. 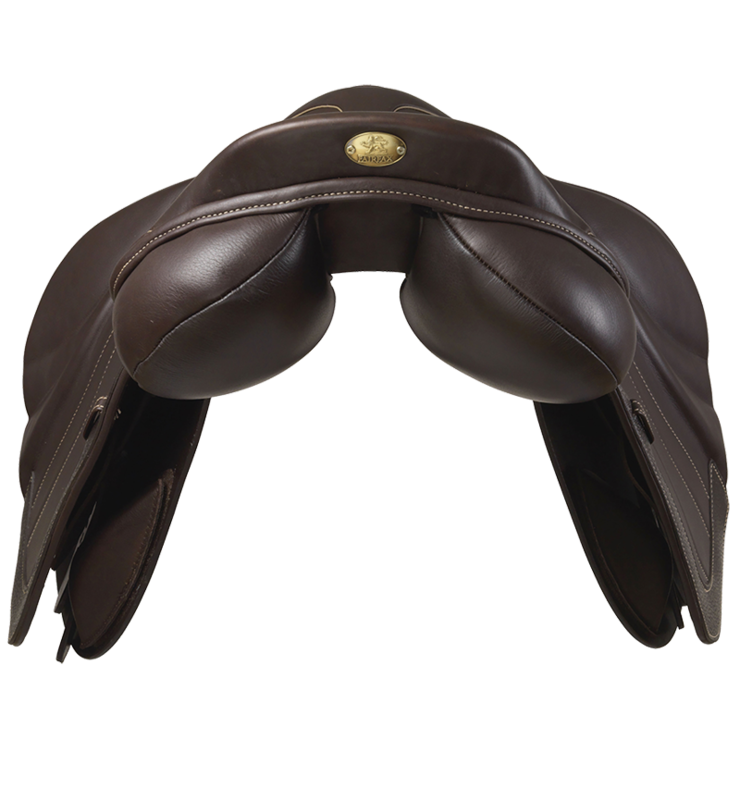 The saddle fitter can choose between seven width fittings to best suit the profile of the horse’s withers. The gullet bars can be changed quickly and easily as the horse develops or changes shape after time off. The wool panels are lined with a layer of Prolite® for proven pressure distribution, while still allowing for traditional re-flocking on site. British wool provides superior softness and comfort for the horse. 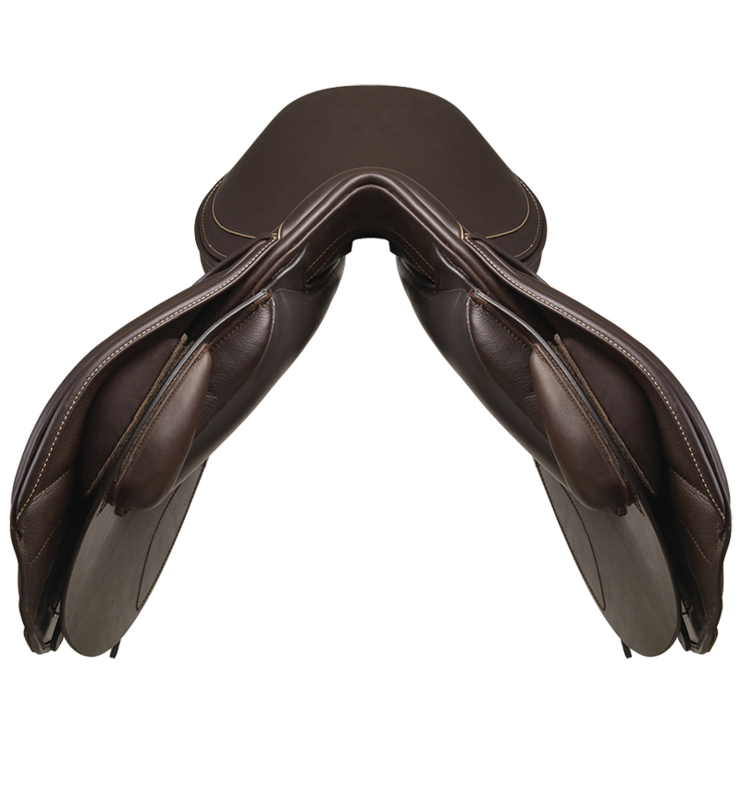 Each saddle has two flocking slots which make it easy for your saddle fitter to make quick fitting adjustments on site. All our saddles are handmade in Walsall by highly skilled Master Saddlers. Use the forward girthing option if the saddle slips forward as the horse moves. If the saddle lifts at the back attach the moveable billet onto the back ring. 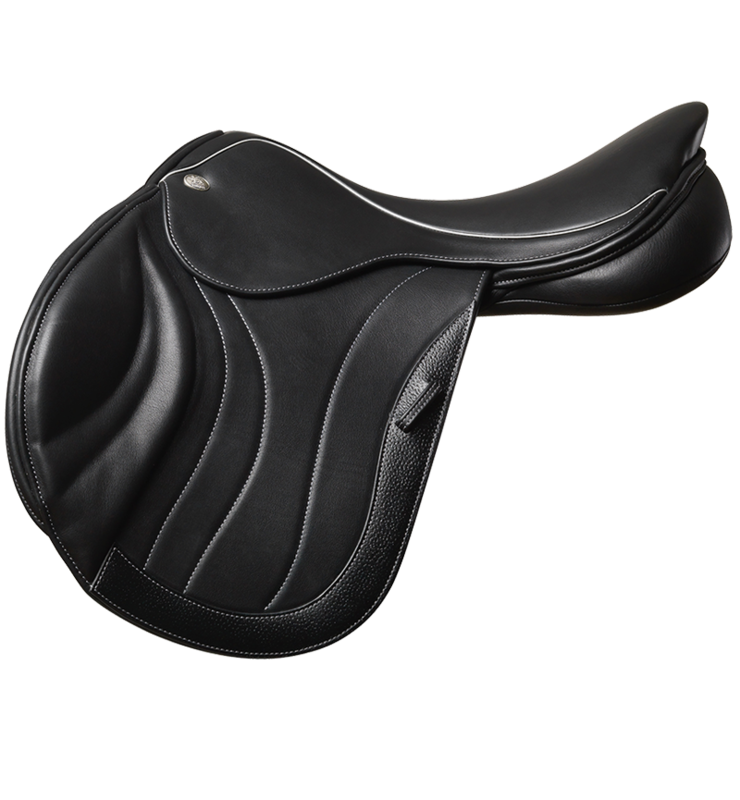 Apply the Rapide Leathergel supplied with this saddle before first use. Re-apply Leathergel at least once a week to dry leather. Never use wet tack. 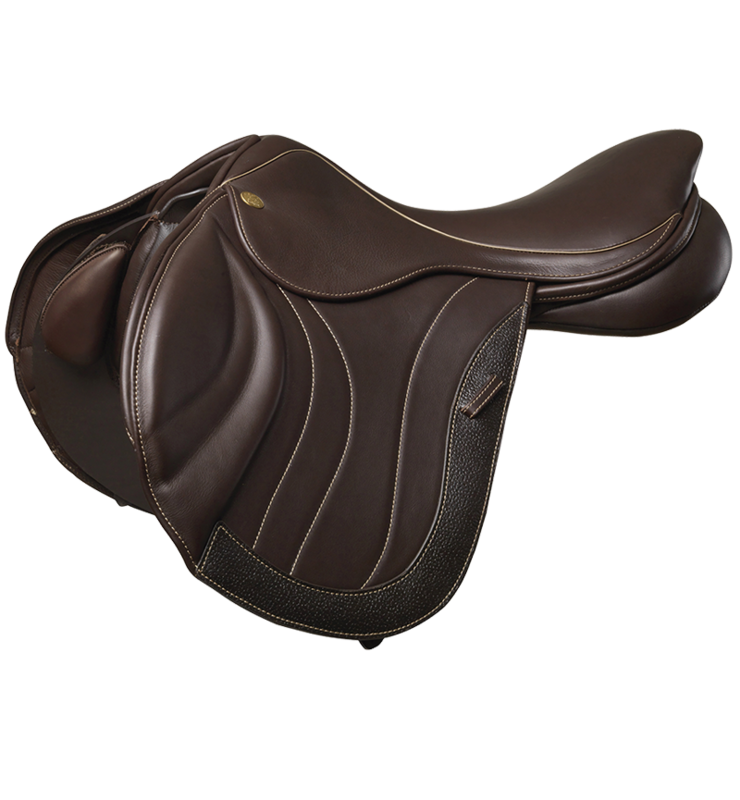 Do NOT use spray soap, glycerine saddle soap or neatsfoot oil on this saddle. Always allow leather to dry naturally (do not use external heat sources). Check regularly that all four gullet bolts and two panel screws remain tight. SimaTree saddle tree (conformsto BS7875) is guaranteed for five years. As part of your regular saddle maintenance, check that all four bolts on the gullet bar & the two bolts on the panel remain tight. Repairs & alterations should only be carried out by authorised stockists only.